Podcast: Could ‘blue wave’ wash away all but one House seat for Washington GOP? Politics reporters Jim Brunner and Daniel Beekman look at the prospects for a 'blue wave' in the midterms. Washington state’s 10 U.S. House seats are divided fairly evenly between the two major parties — four for the Republicans and six for the Democrats. But the 2018 midterms could wash away all but one of the seats for the GOP — leaving Central Washington Rep. Dan Newhouse as the sole Republican representing the state in Congress. A similar GOP wipeout happened before in a Democratic wave in 1992, and after Tuesday’s primary results, there is a real possibility of a repeat. In Episode 88 of The Overcast, The Seattle Times weekly politics and news podcast, chief political reporter Jim Brunner breaks down the situation in conversation with colleague Daniel Beekman. The episode was recorded at the Seattle studios of public radio 88.5 FM KNKX. 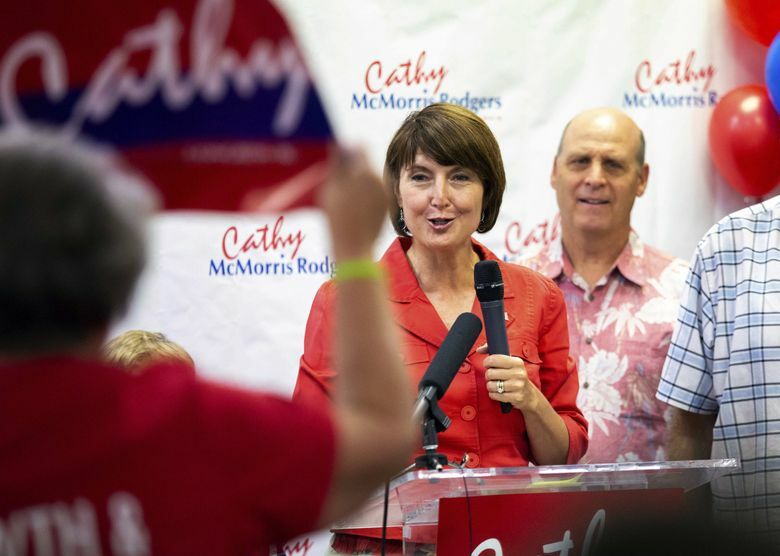 We start at the top of the ticket, where Democratic U.S. Sen. Maria Cantwell came out atop a 29-candidate field and will face former state GOP chair Susan Hutchison this fall, and move on to the three competitive House races — where incumbents Jaime Herrera Beutler and Cathy McMorris Rodgers, and well-known Republican Dino Rossi are facing tough races to hold three longtime GOP seats. If the November election plays out the way some think, control of the House — and with it the fate of the Mueller probe and impeachment prospects for President Trump — could fall on these races in Washington state. Bonus content: what connection did the primary have to a new, 2018 Chevy Silverado? And what animal does the 8th Congressional District resemble? You have to listen to find out. Those are the rules that we made up. Support the locally owned, independent journalism that makes this podcast possible. Visit seattletimes.com/support and subscribe.